Indulging in a noble cause through fundraising and charity is one of the many noble and helpful ways for paving a path for the welfare of old, homeless, orphan kids and the downtrodden people in the society. Fundraising involves the gathering of fund resources through people’s contributions. However, you should have the right and legal idea to raise money for the noble and great cause you are involved in. Fundraising idea can come in abundance like, Crowd funding, Auctions for valuable items, Advocacy Campaigns, Online Shopping, Hosting a concert, NGO charity, and last but not the least Race Night. Fundraising events is basically organized by various organizations, club, sports clubs or a group of wealthy people. Besides these ideas, there are other fundraising ideas you can ask around from your friends, colleagues and you cannot exclude the help of internet for many options of fundraising ideas. Are you out of fun fundraising idea? Race night is the most effective and fun way to raise fund for your charity. Of all the many fundraising ideas, race night is the event where you can spend your money for a great cause while having a fun night with your family and friends. Therefore, organizing or hosting a race night would be very effective for fund you want to raise for your club, organization or school. Race night is an event organized by organizations or event organizers with the initiative of clubs, organizations or certain group of people. A race night event is not only for fundraising, it’s a night for fun as well. It’s the night that brings together lots of known and unknown people all around the city. People go on betting on the horses and cheer while awaiting the final result. Only the lucky ones get to bet on the right horse and make a lot of money. There’s no denying the fact that, the winner takes away an impressive amount of money excluding the amount that goes for the charity fund. Race night is the night where you can contribute yourself for a great cause and have fun as well. If you are planning to hold a race night event for your club or organization, race-night.com would be very glad to organize a perfectly successful race night. Fundraising idea through our horse and pig racing is the right medium to raise funds. Fundraising is a representation of the unity in the society while coming together for providing aids to the unprivileged section in the society. With a little bit of effort and willingness of few passionate volunteers is the way for holding a perfectly successful race night. 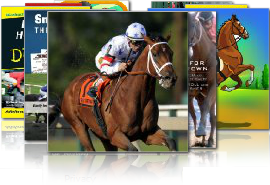 Race-night.com can organize the race night and bring fill your event night with full of thrills and laughs. Contact us, if you have made up your mind for fundraising idea of a fun race night through race-night.com.